Home » What are My Options After a Seat Belt Injury? Statistics show that seat belts save lives. In fact, in 2014, seat belts are reported to have saved approximately 13,000 lives. Having your body restrained during high-speed collisions greatly reduces the risk that you will end up injured or even killed if an accident occurs. Even though seat belts can save a person from serious injuries, wearing a seat belt does not guarantee that a person will be able to walk away without injuries after an accident. Many injuries incurred in motor vehicle accidents are actually caused by the use of a seat belt. Here’s what you need to know if you are involved in a seat belt injury. When they work as intended, seat belts save lives. Some individuals believe that belts are not necessary, but they have been proven to save lives. Some of the ways in which seat belts are known to prevent injuries include keeping passengers from being ejected from vehicles, spreading forces associated with a crash over a wider area of a person’s body, shifting crash forces to the strongest area of a person’s body, allowing a person’s body to slow down gradually, and protecting both a person’s head and spinal cord. Children, as well as pregnant women, are particularly susceptible to injuries caused by seat belts. While seat belts can save lives, they can also result in particularly serious injuries during car accidents. Sometimes, seat belt injuries are a result of design or manufacturing defects. When defects exist in seat belts, the restraint system might not operate as expected, which could lead to serious injuries. Some of the most common defects include safety belts with inadequate latches or tension detachers. Although seat belts can be the cause of certain injuries during car accidents, some people who are responsible for accidents might attempt to use the possibly harmful nature of seatbelts to their advantage. While a responsible party might argue that the accident victim was wearing a seatbelt improperly, which resulted in his or her injuries, it is often a much stronger argument that not wearing any seat belt would have ultimately caused more severe injuries. After the shock of having being involved in an auto accident, some victims are forced to face other injuries that result. 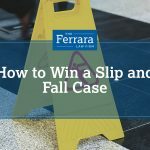 If you or a loved one has been harmed in an accident, you should not hesitate to speak with an experienced accident attorney. 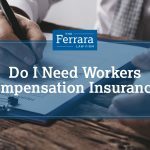 Contact Ferrara Law today to discuss how we can help you pursue the compensation that you deserve. Request a free case evaluation today.